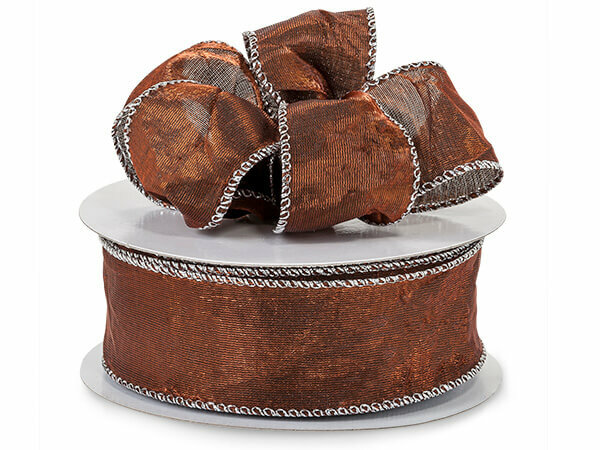 Buy More Wired Crushed Satin Ribbon Save More! The shimmery metallic sparkle threads is a must for your elegant packaging! Available in a variety of colors, the front side features a a crushed look and is very soft to the touch. Ribbon is made from 65% polyester; 35% nylon. Complementary wide gold and silver edges are sewn with a heavy duty wire for a dramatic effect and also holds a beautiful shape for bows.